In celebration of Canada Day, today I am featuring the re-release of four novels by the late author Carol Shields. They have been out of print in the UK since Autumn 2014 but are being published again by World Editions. The Stone Diaries won the 1995 Pullitzer Prize for Fiction. 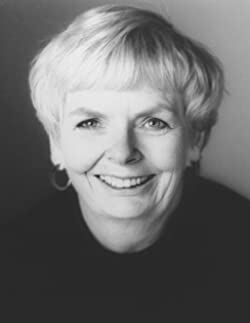 Carol Shields was born in America and met Canadian Donald Shields while on a study trip to Scotland. The couple married and moved to Canada where she later became a citizen. Carol Shields died in 2003 from breast cancer. With thanks to Diana Morgan at Ruth Killick Publicity, I can offer you the chance to win the fantastic prize of a set of all four of the re-released titles. Details of each book with their lovely new covers are below. The give away will be open until midnight on Sunday 10th July. The winner will be notified within 24 hours. Please note this is a UK only giveaway. The Stone Diaries is one ordinary woman’s story of her journey through life. Born in 1905, Daisy Stone Goodwill drifts through the roles of child, wife, widow, and mother, and finally into her old age. Bewildered by her inability to understand her place in her own life, Daisy attempts to find a way to tell her story within a novel that is itself about the limitations of autobiography. Her life is vivid with incident, and yet she feels a sense of powerlessness. She listens, she observes, and through sheer force of imagination she becomes a witness of her own life: her birth, her death, and the troubling misconnections she discovers between. Daisy’s struggle to find a place for herself in her own life is a paradigm of the unsettled decades of our era. A witty and compassionate anatomist of the human heart, Carol Shields has made distinctively her own that place where the domestic collides with the elemental. These two unique novels tell the stories of Jack and Brenda Bowman during a rare week apart in their many years of marriage. Jack is at home coping with domestic crises and two uncouth adolescents, while immobilized by self-doubt and questioning his worth as a historian. Brenda, travelling alone for the first time, is in a strange city grappling with an array of emotions and toying with the idea of an affair. Intimate and insightful yet never sentimental, Happenstance is a profound portrait of a marriage and the differences between the sexes that bring life — and a sense of isolation — into even the most loving of relationships. Mary Swann, a latter day Emily Dickinson, submitted a paper bag of poems to newspaper editor Frederic Cruzzi mere hours before her husband hacked her to pieces. How could someone who led such a dull, sheltered life produce these works of genius? Four very different people search for the elusive answer. With a viewpoint that shifts as crisply as cards in the hands of a blackjack dealer, Carol Shields introduces us to two shell-shocked veterans of the wars of the heart. There’s Fay, a folklorist whose passion for mermaids has kept her from focusing on any one man. And right across the street there’s Tom, a popular radio talk-show host who has focused a little too intently, having married and divorced three times. Can Fay believe in lasting love with such a man? Will romantic love conquer all rational expectations? Only Carol Shields could describe so adroitly this couple who fall in love as thoroughly and satisfyingly as any Victorian couple and the modern complications that beset them in this touching and ironic book. Fabulous competition and a brilliant sounding book! Happy Canada Day! I adore Carol Shields’s work and it’s wonderful to see these new covers for the novels, which are so different from the covers on the Canadian editions I own. Earlier this week I visited Winnipeg, Manitoba, for the first time in many years and a friend took me to see the Carol Shields Labyrinth in King’s Park and the Project Bookmark Canada Carol Shields plaque at the corner of River and Osborne, which features a passage from The Republic of Love. It was very moving to see both of these, and to walk through the beautiful labyrinth, thinking about several of her novels, especially Larry’s Party. I recently read Startle and Illuminate: Carol Shields on Writing, and while the copy I read came from the library, I will definitely have to buy the book for my own collection. One of the many lines that stood out for me was this one: “I saw that I could become a writer if I paid attention, if I was careful, if I observed the rules, and then, just as carefully, broke them.” Thanks so much for this lovely Canada Day post! Thanks for commenting. How wonderful to walk the labyrinth! Love her books and very much want to win this as I loaned a couple of mine out and never got them back! Ooh don’t you hate it when that happens! Good luck Catherine. Fantastic giveaway and wish that Canadians were included! I have to admit, a a huge fan of CanLit, I have not read the Stone Diaries but it is on my dresser awaiting me to open the pages! Thanks to all who entered and congratulations to Miriam Smith who was randomly selected as the winner!